Restructuring is a hot topic right now -- companies need to figure out how to weather the current economic storm and still be well-positioned to take advantage of the next upswing. 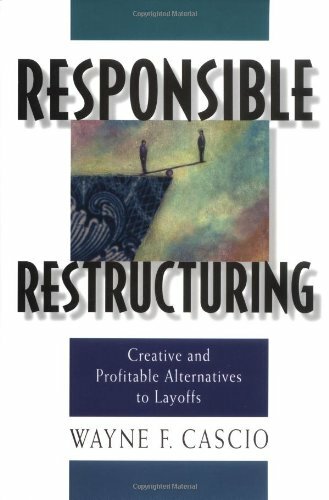 Using real-life illustrations of successful, responsible restructurings at companies such as Charles Schwab, Cisco, Motorola, and Intel, this book provides alternatives to downsizing. Wayne Cascio examines the specific practices these leading firms use instead of layoffs -- including retraining, labor-management partnership, and compensation linked to organizational performance. These practices demonstrate that these companies view their workers as assets to be developed rather than as costs to be cut. Cascio presents compelling evidence showing that businesses adopting these measures fare better than businesses in similar circumstances who choose downsizing.